In this Italian children's classic, a lonely toymaker named Gepetto creates a small wooden puppet who magically comes to life. 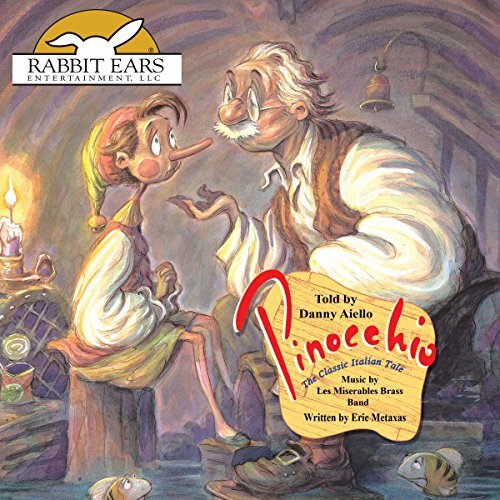 In a series of mischievous adventures, Pinocchio thinks he can get by on a variety of clever lies and tricks. There is one problem: his nose grows every time he tells a lie. 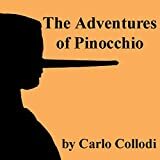 One way or another, the truth always comes out, and Pinocchio finds out that lying does not pay. Narrated by actor Danny Aiello. This buoyant adaptation comes alive with the spirited music of the Mediterranean performed by Les Miserables Brass Band. Ages five and up. Part of the award-winning Rabbit Ears series, We All Have Tales.